SINGAPORE — World markets were mixed Monday amid speculation over the next steps in a dispute between the U.S. and China over technology development and trade following meetings in Washington last week. Trump said he plans to meet his Chinese counterpart Xi Jinping to sort out contentious issues. "I think when Xi and I meet, every point will be agreed to," Trump said, without specifying a date or location. KEEPING SCORE: Germany's DAX lost about 0.1 percent to 11,171.50 and the CAC 40 in France fell 0.3 percent to 5,001.13. Britain's FTSE 100 was about 0.3 percent higher at 7,042.77 as traders awaited Prime Minister Theresa May's trip to later this week to Brussels, where she will attempt to renegotiate a deal securing Britain's exit from the European Union on March 29. The future contract for the Dow Jones Industrial Average edged 0.1 percent higher to 25,015.00 and that for the S&P 500 index also added 0.1 percent to 2,706.00. 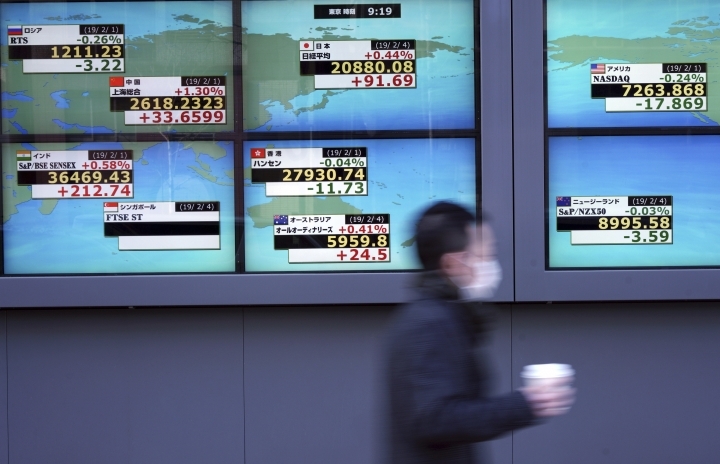 THE DAY IN ASIA: Hong Kong's Hang Seng index edged 0.2 percent higher to 27,990.21. 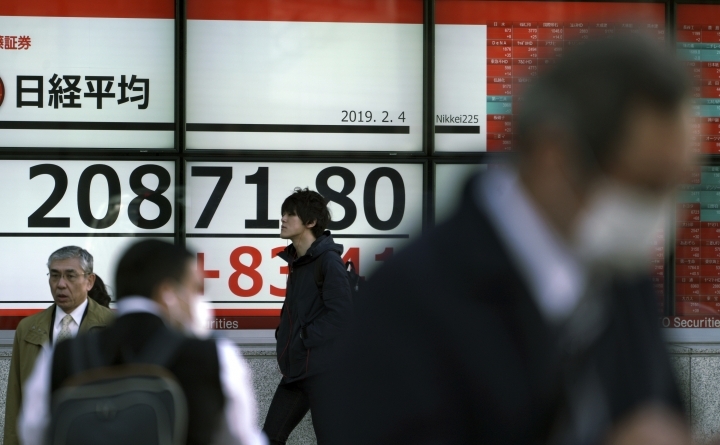 Japan's Nikkei 225 index advanced 0.5 percent to 20,883.77 and Australia's S&P ASX 200 gained 0.5 percent to 5,891.20. New Zealand's NZX index shed 0.2 percent to 9,747.69. India's Sensex was down 0.1 percent at 36,454.38. Shares rose in Thailand but fell in Singapore, Indonesia and the Philippines. 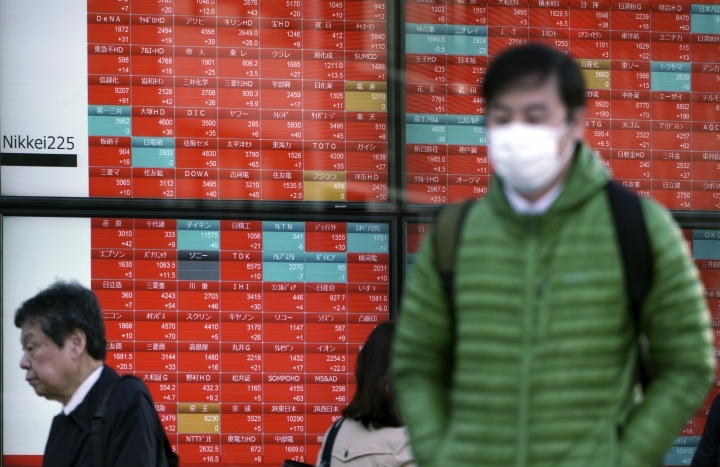 Markets in mainland China and Taiwan are closed for the week for Lunar New Year celebrations. 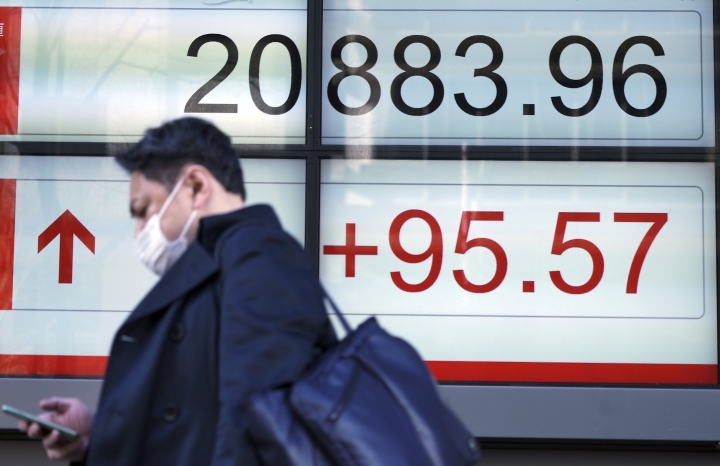 South Korean markets were closed for a holiday. CHINESE DATA: A private survey released on Sunday suggested that China's services activity slowed in January. The Caixin services purchasing managers' index fell to 53.6 points for the month, down from 53.9 in December, likely due to domestic conditions. Numbers over 50 indicate expansion on the index's 100-point scale. But new export sales grew at the fastest pace in more than a year, in a nod to an easing trade standoff with the U.S.